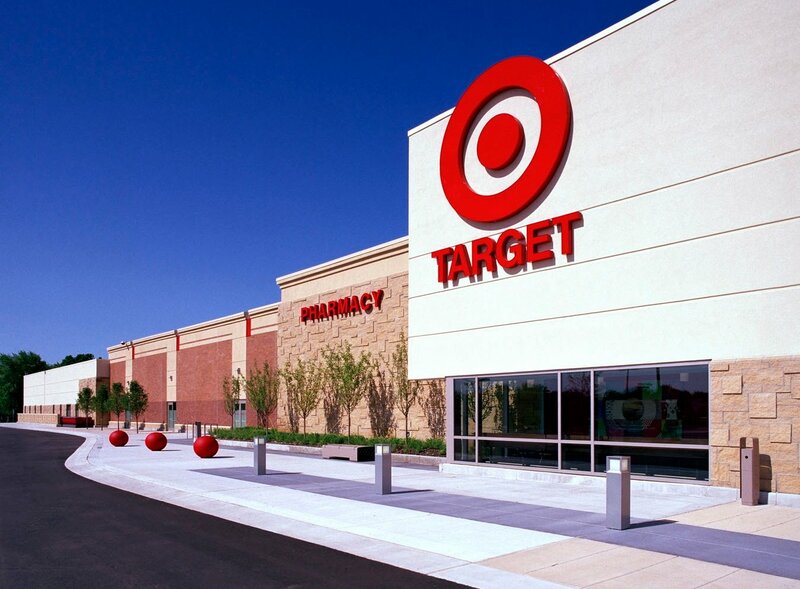 Target will open nine more Canadian stores in 2014. These will be in addition to the 124 Canadian Target locations that opened in 2013, tentatively bringing the total number of Canadian Target stores to 133 by the end of this year. Five of the nine Target stores will locate in former Zellers store locations. The other four will be newly-built stores. Each of these new Target stores will employ about 150 workers, which is the average number of workers for its existing stores. Gregg Steinhafel, chairman, president and CEO of Target, says that the company expects its Canadian operations to generate “$6 billion or more in sales” and 80 cents in earnings per share by 2017. Happy New Year from Retail Insider. 2013 was an busy year for Canadian retail news, and we think 2014 will be equally busy. Here is our top 10 list of Canadian retail news stories, with topics provided by readers. This article is by Retail Insider writer Adam Ramsay. One of Canada's biggest retail stories of the year involved a huge corporate takeover. On July 15th, Loblaw announced that it had acquired Shoppers Drug Mart for $12.4 billion in a cash and stock agreement. The deal was groundbreaking as the nation’s leading grocer had acquired the nation’s largest pharmacy chain. Under terms of the purchase, Shoppers Drug Mart will continue to keep its identity and will operate as a new division of Loblaw. Loblaw also announced in the deal that Shoppers will continue to use an ‘associate owner’ system - one that helped make the chain one of the country’s top 10 most fail-proof franchises. Because of this, no store closing or rebrandings have taken place and none are anticipated. A ‘cross marketing’ of Loblaws and Shoppers signature products, services and loyalty programs has also begun and will continue to expand in 2014. In April, a devastating collapse of an illegally built clothing factory in Bangladesh killed 1,129 people and injured more than 2,500. The factory, Rana Plaza, was used by several well-known inexpensive fashion labels including Canadian retailer Loblaws for its Joe Fresh line. The disaster is now regarded as the world’s worst modern-day industrial tragedy. The building collapse has led to international discussions over corporate and social responsibility across global supply chains. Advocacy groups have been working on awareness campaigns and accords meant to highlight and fix the terrible working conditions and treatment of Bangladeshi workers and many consumers have revolted against companies that not only have connections to the building which collapsed, but also to those who use Bangladesh factory sourcing in general. 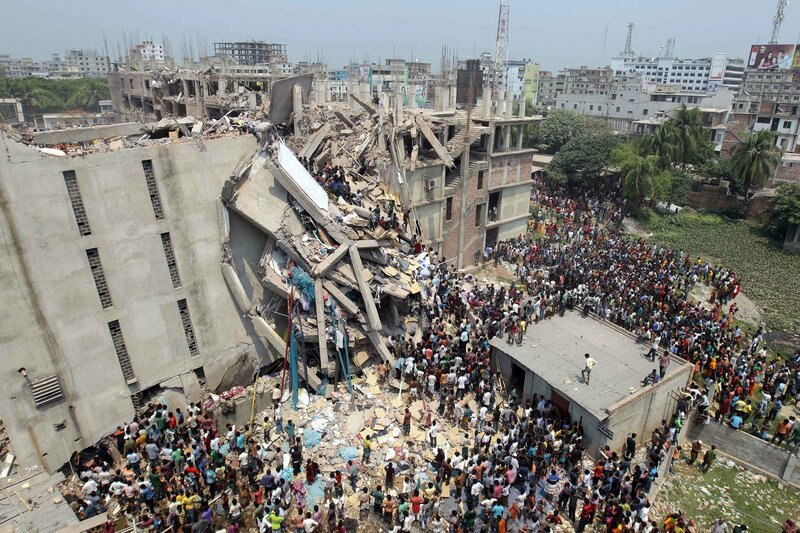 In December, five global retailers who source from Bangladesh, along with other manufacturers and labour groups, created a $40 million compensation fund for victims of the Rana Plaza disaster. Those retailers include Britain's Primark, Spain's El Corte Inglés, France's Bon Marché and Canadian Loblaw. After years of rumours, market research and anticipation, Target - the #2 department store chain in the United States - made its long awaited Canadian debut in March. The company would open up 124 locations from coast to coast in 2013 and with it promised Canadians a “distraction-free” shopping experience with products, brands and loyalty programs much akin to those found south of the border. Reaction from consumers proved to be a disappointment for Target, as supply issues in many departments left store shelves empty in a problem that is still not fully rectified going into 2014. There was also concern amongst shoppers that the prices found in the former Zellers locations were higher than their American counterparts. In September, Target had to move quickly to correct a nasty PR issue that saw veterans forced outside of their stores to sell poppies for Remembrance Day. Target Canada President Tony Fisher has been adamant that although Canadian operations have been a drag on total company earnings so far, they are committed to growth and will "continue to show positive progress as [they] continue to go forward." Lululemon has had a year for the ages, but not the kind that they’ll necessarily want to remember. First there was the sheer yoga pants recall that began in late 2012 that cost the company $67 million in lost revenue, affecting almost a fifth of its entire inventory. In June, well-liked company CEO Christine Day, who had lead the brand for more than five years and steered the company through the above mentioned recall, announced that she was leaving. Perhaps the most damaging PR mishap of the year came in November, when founder Chip Wilson stated in an interview that "some women’s bodies just actually don’t work" with Lululemon pants, when complaints began to grow that the pants are sheer and pill too easily. Wilson quickly came under fire for his comments, and many believe he exasperated the situation by offering an apology that didn’t retract his remarks. Early in December, he resigned from the organization that he himself created. It’s not all doom and gloom for Lululemon, as sales continue and they enjoy some of the most productive retail space in Canada. The West Edmonton Mall Lululemon location, the company’s highest selling, brings in upwards of $26 million annually with a store of only 3,200 square feet, and that Lululemon stores enjoy average revenues of $1,936 per square foot annually. It was another rough year for Sears Canada, as in September CEO Calvin McDonald resigned as head of the company that has been struggling to both find itself and keep up with competitors in recent years. As he moved on to head up the North American operations of Sephora - a French cosmetics chain - Sears continued to actively sell back some of its most valuable leases to landlords in an attempt to secure the much needed capital just to continue its operations. As the company continues to divest of some of its most valuable assets, it has begun to pave the way for some major new entrants into Canada’s retail space. Upscale American department store retailers Nordstrom and Saks Fifth Avenue (purchased this year by HBC) have already announced plans to open up locations in this country. And with La Maison Simons focusing aggressively on new development outside of Quebec and the long-running rumour that Bloomingdales locations might not be far from a reality in this country, Sears is opening the door to increased competition amongst retailers to allure the type of consumer it has historically tried to attract. 2014 will prove to be a pivotal year for Sears Canada, not just for its long-term success, but for its very survival. Back in June, Sobeys invested $5.8 billion in a cash deal that saw them acquire Western Canadian grocer Safeway. The deal included hundreds of locations with in-store pharmacies, plus gas stations, liquor stores, manufacturing facilities and a handful of distribution centres and related wholesale business. The Competition Bureau approved the sale in October, but would demand that Sobeys divest of 23 stores in British Columbia, Alberta, Saskatchewan and Manitoba. The move is expected to save Empire (Sobeys parent company) more than $200 million annually in operational costs. The Safeway acquisition wasn’t the only substantial business move for the company in 2013. In addition to teaming up with Target to supply their new 124 stores with grocery items through the Sobeys distribution network, they have also finalized the purchase of the Shell gas stations in Quebec and Atlantic Canada. There’s been the sell-off of their Theatre business (through parent company Empire) to Cineplex and even the recent opening of the first of their new 'Sobeys Extra' format stores in Burlington, Ontario. In this fall it was announced that long-time company executive Marc Poulin - who became the President of Sobeys in June 2012 - is taking over as the head with the retirement of Paul Sobey. The summer proved to be a very busy time for North American retail business purchases, takeovers and acquisitions. That was certainly felt by American luxury retailer Saks Fifth Avenue who had seen keen interest from several potential buyers. The Hudson’s Bay Company made its $2.9 billion purchase of Saks public on July 28 by announcing that they will open 7-8 full line Saks and up to 25 'Off 5th' (discount outlet chain) locations in Canada. It was also reported that a REIT could be set up to hold Saks' real estate assets, which are valued at $1.5 billion. In early December, it was revealed that the flagship location for Saks in Canada will be built on the corner of Yonge and Bloor Streets in Downtown Toronto, and will in fact replace a 342,000 square foot Hudson’s Bay store. Once the more than $100 million renovation is complete and the location opens its doors, it is expected to be the second largest Saks in the world, after the Manhattan store in New York. The arrival of Saks and Nordstrom north of the border, combined with the already existing presence of the likes of Holt Renfrew means that upscale department store retailing will soon to heat up in Canada. For many, delivery drones may quickly come to mind when thinking about the kind of year Amazon had in 2013. But for Canadians, it’s a different story altogether, as the online retail giant announced its intentions in October to enter into the ultra-competitive Canadian grocery market. Amazon launched the grocery and gourmet food section on its website on Halloween, offering more than 15,000 different food items including packaged beverages, breakfast foods, pantry supplies and snacks. All major brands are represented on the site, with very competitive pricing. This leaves many in the industry to believe that the already heated Canadian 'grocery war' is about to get even fiercer, and that as a result prices will be driven down. In fact, Amazon believes it already has a pricing advantage on its bricks-and-mortar competitors, citing its 'dynamic pricing' model, which analyzes massive amounts of data to adjust prices in real time on certain items when necessary. Amazon's move has Canadian grocery retailers taking notice. Loblaws and Sobeys, for example, anticipated the increased competition earlier this year when each made substantial investments in future sustainability by taking over Shoppers Drug Mart and Safeway, respectively. With Walmart’s further expansion into the Supercentre format across the country, and Target’s 2013 foray into the ring, the Canadian grocery industry both in-store and online will no doubt remain the most competitive retail space in 2014. Black Friday and Cyber Monday, two of the biggest shopping days on the calendar in the United States, have become a major force in Canadian retail as well. This year, more Canadians than ever before shopped in-store and online during these major sales days hoping to find outstanding discounts on products and services. Mall landlords and large national retailers have led the charge, all but forcing businesses of any scale or type to offer their very best prices and offers to compete. Although more Canadians than ever before took part in the shopping frenzies, the numbers were still lower than anticipated earlier in the year. Part of the blame is thought to be placed on the fact that savings north of the border simply weren’t as attractive as those found in the States. As an example, many retailers offered up to 80% discounts down south, while most of the sales experienced in Canada were only in the 40-50% range, which proved to be not much better than the normal savings found in a typical sale in many stores. The general belief is that the shopping events will continue to grow in Canada, but proper marketing is needed amongst retailers, and a 'one size fits all' approach will not necessarily work for Canadians. La Maison Simons has had another busy year of strategic planning. After opening their first location outside of Quebec in 2012 - a 118,000 square foot store in the West Edmonton Mall - plans have been unveiled that will see the chain expand further into other major Canadian cities including West Vancouver 's Park Royal Shopping Centre, Ottawa (at Rideau Centre and Les Promenades Gatineau) and at Mississauga's Square One Shopping Centre. La Maison Simons CEO Peter Simons has also identified Winnipeg and Calgary as cities that are ‘on the radar’ of the company, which could see as many as two locations open up in Calgary. He went on to say in an interview with Retail Insider in September, that there is no preference as it relates to urban vs. suburban development, and that all future growth must be “gradual and intelligent” so that the company, which has existed for more than 175 years, can continue to exist for future generations. La Maison Simons currently operates 10 stores in Canada, all in the neighbourhood of 80-100,000 square feet. The highest-selling locations remain inside their home province of Quebec, at Place Ste Foy and Downtown Montreal, though this may change in 2014 as its West Edmonton Mall store continues to see significant sales growth. Feel free to submit your top choices to our comments section below. You may also post to our Facebook Page and comment to our Twitter Feed. "Adam Ramsay", "Amazon", "Bangladesh", "Calvin McDonald", "Canada Safeway", "Hudson's Bay Company", "Hudson's Bay", "Joe Fresh", "Loblaws", "Maison Simons", "Saks Fifth Avenue", "Sears", "Shoppers Drug Mart", "Sobeys", "Target", "lululemon"
This is a final list of Target's Canadian store openings for 2013. This list includes 33 stores, and in total, Target will have opened 124 stores in Canada by the end of the year. Included in these 33 locations are the first Target stores to open in New Brunswick, Prince Edward Island and Newfoundland. Most Quebec stores will include Brunet pharmacies, which are scheduled to start operations in the summer of 2014. WHAT IS YOUR IMPRESSION OF TARGET'S CANADIAN STORES? Target opened its first Quebec stores yesterday, as we reported would happen last week. A reader sent us feedback and a photo. We're curious to hear your feedback about Target's Canadian stores as well. David Goldmann emailed us to let us know his reaction to his visit to Laval's new Target store. He said it was very busy, and that merchandise was selling well. Perhaps too well - he indicates shelves will need to stocked quickly to keep up with demand. Two weeks ago we visited a Target store in Coquitlam, BC. Perhaps we had high expectations because our initial impressions were less than stellar. The store had an odd smell, shelves were only half-stocked and their clothing selection left much to be desired. Target is in the process of opening stores across Canada, and will continue to open Canadian locations periodically throughout the year. Here is a list of Target stores scheduled to open October 18th. To send us your comments on your experiences at Canadian Target stores, please feel free to leave them on our Facebook page, or to tweet them to our Twitter account. This is the link to comment on Facebook specifically about this article. Montreal-based Metro Inc. will close and re-brand some of its Ontario grocery stores. It will also operate the in-store pharmacies at Quebec's Target locations. Metro announced that it will either close or re-brand 15 of its Ontario stores to the Food Basics label. We have yet to learn which Ontario locations will be affected. "The agreement with Target provides an excellent growth opportunity for METRO's pharmaceutical division, particularly for the Brunet banner, as it enables us to significantly increase our presence, our purchasing power and our sales potential in Quebec. In all, 18 new pharmacies, including 12 in the Greater Montreal area, will be set up by the summer of 2014, bringing the total of Brunet to 168." For more details on this story, a more comprehensive article was done by The Globe & Mail. A press release on Metro's Target pharmacies in Quebec can be found here. Target Canada has just launched dENiZEN jeans by Levi's. The brand is only available at Target stores and the jeans, available for men and women, are priced between $21.99 and $34.99. The brand has been popular with American shoppers. The jeans come in a variety of shapes and sizes, aiming to flatter customers of different shapes and sizes. dENiZEN was launched in American Target stores in 2011. The entire line of dENiZEN jeans can be viewed on their new Canadian website: http://www.denizen.ca. The brand also has a Facebook page. Roots-owned Beaver Canoe will create an apparel and home collection for Target's Canadian stores. The apparel collection launches on September 8th and the home collection on September 15th. The collection will be available from September 2013 through to the end of 2014 (and possibly later if the collaboration is successful). According to Target's press release, the apparel collection will include "hoodies, sweatshirts, t-shirts, track pants and long-sleeve tops for toddlers to adults, as well as outerwear and accessories for men and women. Prices range from $7.99 to $99.99". Their home collection, the first for Beaver Canoe, will be made up of more than 65 pieces, including furniture, pillows, lighting, frames, vases and candles and prices range from $7.99 to $99.99. Beaver Canoe was started by Roots in 1982 and became a popular Canadian apparel brand with its own free-standing stores. Its popularity has diminished over time and continues to exist as a Roots-owned label. Target Canada's official 'grand opening' is today, April 5th. Some target stores have been open for over a month, and the store has gotten much publicity. Many media sources will report on Target's grand opening day so we won't go into too much detail. We find it interesting, however, that Target has chosen to distribute fliers to Canadian households. On Thursday April 4th, a 28-page flyer was distributed to some Canadian homes. A digital version of the flyer is available here. A .pdf version of the same flyer is available at this link. Time will tell if Target will succeed in Canada. Excitement was met with disappointment as some shoppers discovered Target's Canadian prices were higher than both American Target stores and some Canadian Walmart stores. Still, we expect Target will profit from its Canadian expansion. Target has already opened 24 Canadian stores. We can expect about 100 more to open across the country in the coming months. Have a great weekend, everyone. On Monday we'll be celebrating Retail Insider's one-year birthday. TopShop/TopMan will open a store inside of Hudson's Bay's Square One Shopping Centre store in October. This will coincide with a renovation of the Square One Hudson's Bay store, now underway. TopShop will be located on the main-floor of the 190,000 sq ft Bay store. Hudson's Bay is in the process of renovating some of its more productive suburban stores in an effort to modernize the chain. So far we are impressed with what we've seen, store-renovation-wise. Mississauga's Square One Shopping Centre is in the process of being expanded and renovated. The mall will soon get a renovated Target store anchor, replacing a former Zellers location. This week we reported on the possibility that Holt Renfrew could open a store at Mississauga's Square One. We're not sure if negotiations are serious or if the negotiations are a tactic for Holts to get favourable lease terms for a possible Sherway Gardens Holt Renfrew store expansion. We've got more Canadian TopShop store locations to announce. Thank you for reading Retail Insider. "Holt Renfrew", "Hudson's Bay", "Square One Shopping Centre", "Target", "TopMan", "TopShop"
These stores are considered to be 'pilot stores' which will be used to iron out any potential 'wrinkles' in operation before Target opens 21 more locations later this month. The Guelph store has been open to 'staff, friends and family' for the last couple of weeks, and we have been informed by a staffer at the Guelph store that things are going 'very well' so far. Target's formal 'Grand Opening' will be in early April. Target will open 124 Canadian stores in 2013. We will keep you updated on Target's Canadian store openings. Target Canada has just held two designer contests, where winners get their merchandise in Canadian Target stores. The first award is called 'The Target Emerging Designer Award'. The winner, Mélissa Nepton, was announced during Montreal Fashion Week on Friday February 8th. Mélissa will create an apparel collection to be sold exclusively at Target stores in Quebec in 2014. She will also receive a $25,000 grant and will be featured in Elle Québec. 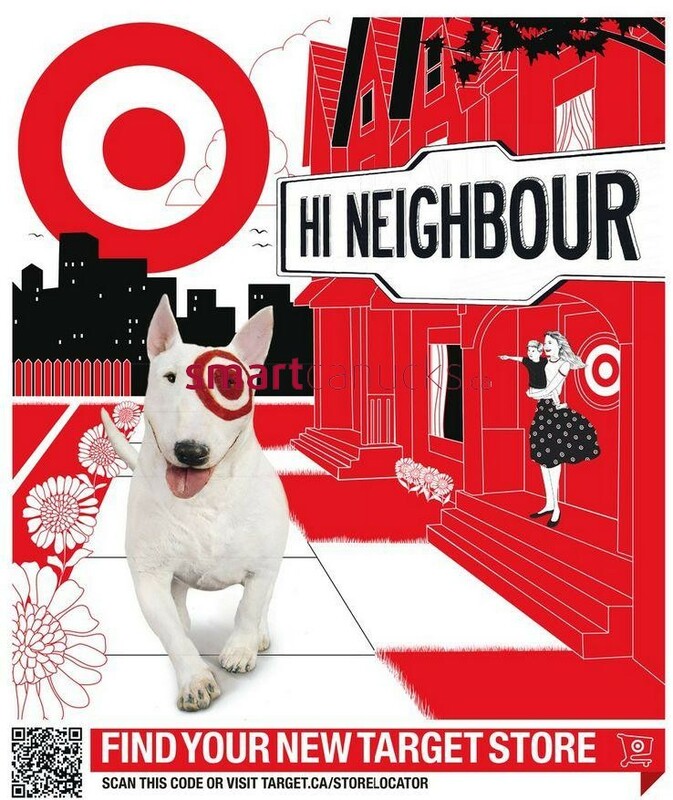 Target plans to open 25 stores across Quebec beginning in fall 2013. The second involves the winner of the Toronto Fashion Incubator’s New Labels contest. This will be held in April, 2013, and the winner will have the chance to create a line for Target stores across Canada. These contests show an interesting commitment by Target to Canadian design talent, and shows good faith that the retailer will support Canada and Canadians. Starbucks will open about 150 Canadian locations in 2013, an all-time record. The main reason, though, is Target's Canadian debut. Starbucks will open outlets inside of many of Target's 124 soon-to-open Canadian locations, though we don't have an exact number. The new locations will increase Starbucks' Canadian store count to about 1,300. Starbucks has had other successful shop-in-store locations in Canada, including concessions at Chapers/Indigo bookstores. Canadians can now apply for Target's 'Red Card' online. The card provides 5% off store purchases. It is a debit card that links with the cardholder's existing chequing account and is for Target stores, only. A Target credit card will also be issued by the Royal Bank of Canada. 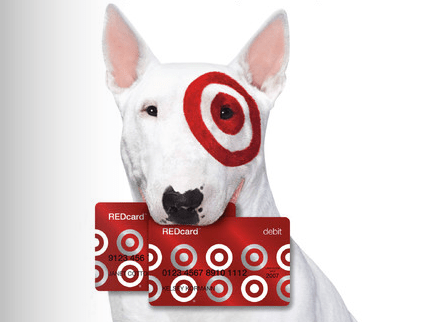 The Target RBC Mastercard will have no annual fee and cardholders are eligible for additional rewards towards Target gift cards, as well as purchases not made in Target stores. A better description and photos of these brands are available at this link. Blu Dot is a home furnishing goods company founded in 1997. It is known for 'smart, minimalist goods that price-wise fall somewhere between IKEA and high-end imports'. A Blu Dot coffee table retails for around $500. A table by 'TOO' by Blu Dot will only cost $149 (all US dollars, as Target's Canadian website has yet to upload sale merchandise). This is an interesting retail strategy that addresses the increase in online shopping while differentiating the Target website with merchandise not available elsewhere. It may also be a response to Amazon, which recently announced that they would permanently include an 'online price-matching policy'. Time will tell if Target's online exclusives strategy will work in Canada. Will Canadians be receptive to Target's online-only designer merchandise?